bebop spoken here: Cookers Sage Gateshead! Monday night there is only one place to be and that is Sage Gateshead. One of the great line-ups in jazz returns to play Sage Two following a triumphant appearance at the 2015 Gateshead International Jazz Festival. The Cookers – bop masters par excellence – made a huge impression last time around and Monday evening is sure to be one of those ‘I was there’ occasions. The Cookers have an unbelievable pedigree; collectively band members have contributed to literally thousands of recording sessions (many of them with the biggest jazz names in history) and to see – and hear – these seven men on stage will be a privilege. The band is on a European tour and this Sage Gateshead date, one of four, offers a rare opportunity to hear the band on these shores. 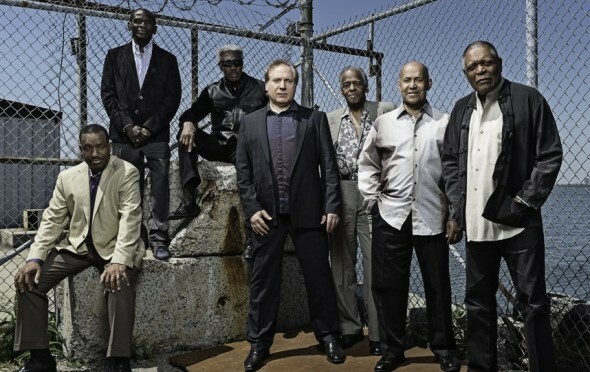 Band leader and trumpeter David Weiss has assembled the dream line-up of fellow trumpeter Eddie Henderson, Billy Harper, tenor, Craig Handy on alto, Danny Grissett, piano, Cecil McBee, double bass and master drummer Billy Hart. Don’t miss this one. Monday 14th November. Contact Sage Gateshead’s ticket office now – telephone 0191 443 4661.